Vancouver is a city on the north bank of the Columbia River in the U.S. To find traveler tips, other places to visit, maps, and tourist information, go to the Vancouver road trip site . Vancouver, Canada to Vancouver is an approximately 5.5-hour flight. You can also drive. In April, daytime highs in Vancouver are 19°C, while nighttime lows are 7°C. Cap off your sightseeing on the 22nd (Mon) early enough to go by car to Cannon Beach. Cannon Beach is a city in Clatsop County, Oregon, United States. Start off your visit on the 23rd (Tue): kick back and relax at Haystack Rock and then kick back and relax at Cannon Beach. 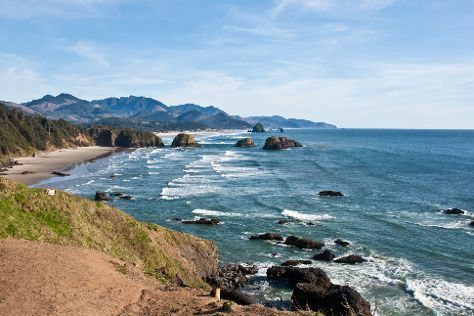 To see where to stay, reviews, and tourist information, read our Cannon Beach trip planner . You can drive from Vancouver to Cannon Beach in 2.5 hours. Another option is to take a bus. In April, daytime highs in Cannon Beach are 17°C, while nighttime lows are 7°C. Cap off your sightseeing on the 23rd (Tue) early enough to travel to St. Helena. Kick off your visit on the 24th (Wed): learn about winemaking at V. Sattui Winery, then learn about winemaking at B Cellars Vineyards and Winery, then do a tasting at Inglenook, and finally learn about winemaking at Modus Operandi Cellars. For ratings, reviews, other places to visit, and tourist information, refer to the St. Helena tour itinerary planner . Traveling by combination of bus and flight from Cannon Beach to St. Helena takes 6.5 hours. Alternatively, you can drive; or take a bus. When traveling from Cannon Beach in April, plan for a bit warmer days and about the same nights in St. Helena: temperatures range from 25°C by day to 8°C at night. Finish your sightseeing early on the 24th (Wed) to allow enough time to drive to San Francisco. Get some cultural insight at Fisherman's Wharf and Twin Peaks. Get some historical perspective at Alcatraz Island and The Embarcadero. And it doesn't end there: get curious at Exploratorium, wander the streets of SoMa, explore the world behind art at Asian Art Museum, and snap pictures at Golden Gate Bridge. To find more things to do and more tourist information, read San Francisco route planning website . Traveling by car from St. Helena to San Francisco takes 1.5 hours. Alternatively, you can do a combination of bus and subway; or take a bus. Expect somewhat warmer evenings in San Francisco when traveling from St. Helena in April, with lows around 12°C. Finish your sightseeing early on the 27th (Sat) to allow enough time to drive to Yosemite National Park. Spend the 28th (Sun) on the water with a fishing tour. There's lots more to do: look for all kinds of wild species at McGurk Meadow, appreciate the extensive heritage of Big Trees Lodge, National Historic Landmark, and tour the pleasant surroundings at Cathedral Beach Picnic Area. To find ratings, other places to visit, and other tourist information, go to the Yosemite National Park online vacation maker . You can drive from San Francisco to Yosemite National Park in 4 hours. Other options are to do a combination of flight and car; or do a combination of flight and bus. When traveling from San Francisco in April, plan for slightly colder days in Yosemite National Park, with highs around 17°C, while nights are cooler with lows around -2°C. Finish up your sightseeing early on the 30th (Tue) so you can travel to Los Angeles. 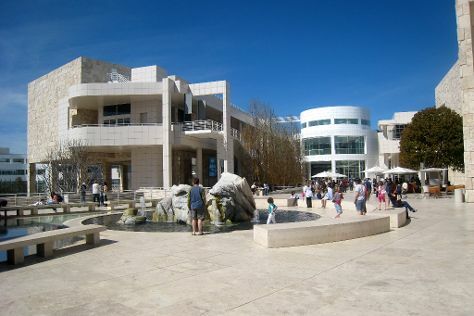 The Getty Center and Griffith Observatory are good opportunities to explore the local culture. Los Angeles County Museum of Art and Autry Museum of the American West will appeal to museum buffs. The adventure continues: enjoy the sand and surf at Venice Beach and Boardwalk, stroll the grounds of Hollywood Forever Cemetery, examine the collection at La Brea Tar Pits and Museum, and explore the world behind art at Diorama-museum of Bhagavad-gita. To see ratings, other places to visit, traveler tips, and more tourist information, read our Los Angeles trip itinerary builder tool . Do a combination of car and flight from Yosemite National Park to Los Angeles in 4.5 hours. Alternatively, you can drive; or do a combination of bus and flight. When traveling from Yosemite National Park in April, plan for somewhat warmer days and warmer nights in Los Angeles: temperatures range from 28°C by day to 15°C at night. Wrap up your sightseeing on the 3rd (Fri) early enough to drive to San Diego. 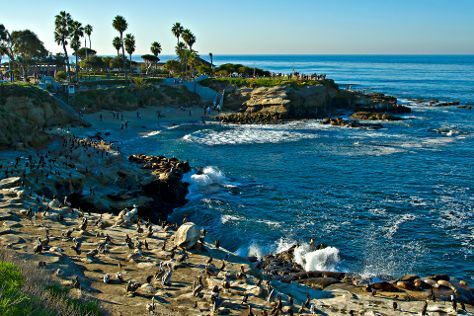 Start off your visit on the 4th (Sat): stroll through Children's Pool and then tour the pleasant surroundings at La Jolla Cove. On the next day, see the interesting displays at USS Midway Museum and then step aboard Maritime Museum of San Diego. To see reviews, where to stay, photos, and more tourist information, read our San Diego itinerary builder . Traveling by car from Los Angeles to San Diego takes 2.5 hours. Alternatively, you can take a bus; or fly. In May, daily temperatures in San Diego can reach 25°C, while at night they dip to 19°C. Wrap up your sightseeing on the 5th (Sun) early enough to drive to Joshua Tree National Park. Start off your visit on the 6th (Mon): look for all kinds of wild species at Cottonwood Spring Oasis and then look for all kinds of wild species at Barker Dam Trail. To see photos, where to stay, ratings, and tourist information, use the Joshua Tree National Park tour itinerary planning site . Drive from San Diego to Joshua Tree National Park in 4 hours. Alternatively, you can do a combination of bus and taxi. Expect a bit warmer weather when traveling from San Diego in May: highs in Joshua Tree National Park hover around 36°C, while lows dip to 19°C. Finish your sightseeing early on the 6th (Mon) so you can drive to Grand Canyon National Park. 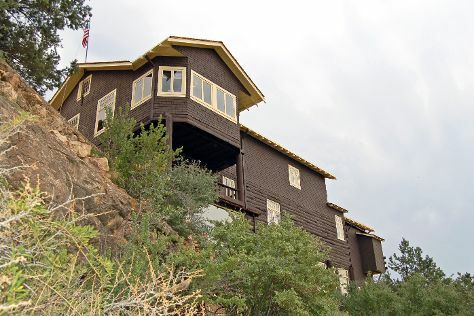 Start off your visit on the 7th (Tue): delve into the distant past at Tusayan Museum, take an in-depth tour of Bright Angel History Room, and then examine the collection at Kolb Studio. On the next day, take in a show at Hopi House, explore the stunning scenery at Grand Canyon South Rim, and then engage your brain at Yavapai Geology Museum. To see where to stay, other places to visit, maps, and more tourist information, refer to the Grand Canyon National Park travel planner . Drive from Joshua Tree National Park to Grand Canyon National Park in 6.5 hours. The time zone difference when traveling from Joshua Tree National Park to Grand Canyon National Park is 1 hour. When traveling from Joshua Tree National Park in May, plan for little chillier days and much colder nights in Grand Canyon National Park: temperatures range from 23°C by day to 0°C at night. Finish up your sightseeing early on the 8th (Wed) so you can travel to Seattle. On the 9th (Thu), explore the world behind art at Chihuly Garden and Glass, then wander the streets of Pike Place Market, and then admire the masterpieces at Seattle Art Museum. Keep things going the next day: take in the exciting artwork at Glasshouse Studio, then enjoy the sand and surf at Alki Beach, and then examine the collection at The Museum of Flight. To see photos, traveler tips, ratings, and more tourist information, read our Seattle attractions planner. Traveling by combination of bus and flight from Grand Canyon National Park to Seattle takes 9.5 hours. Alternatively, you can do a combination of shuttle and flight; or drive. Due to the time zone difference, you'll gain 1 hour traveling from Grand Canyon National Park to Seattle. Traveling from Grand Canyon National Park in May, you can expect nighttime temperatures to be a bit warmer in Seattle, with lows of 13°C. Wrap up your sightseeing on the 10th (Fri) early enough to drive back home.